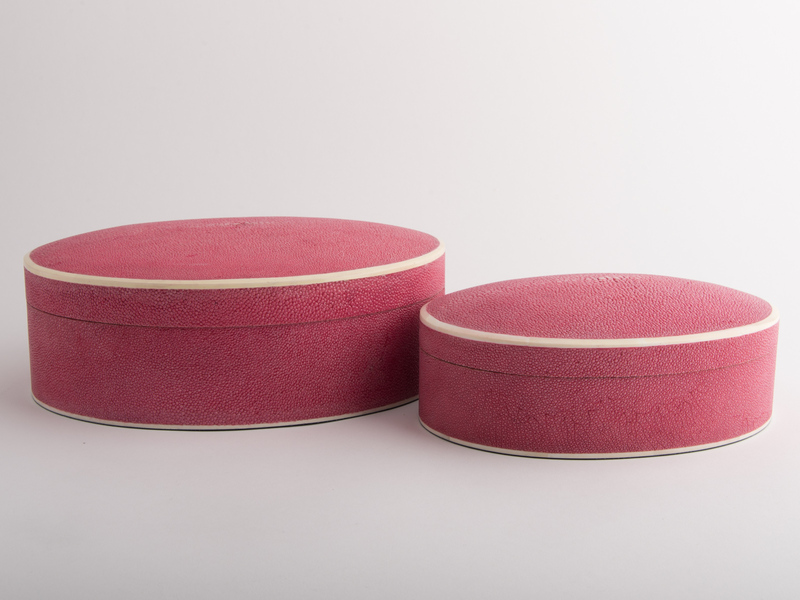 Zelda is the most elegant and stylish of shagreen jewellery boxes. 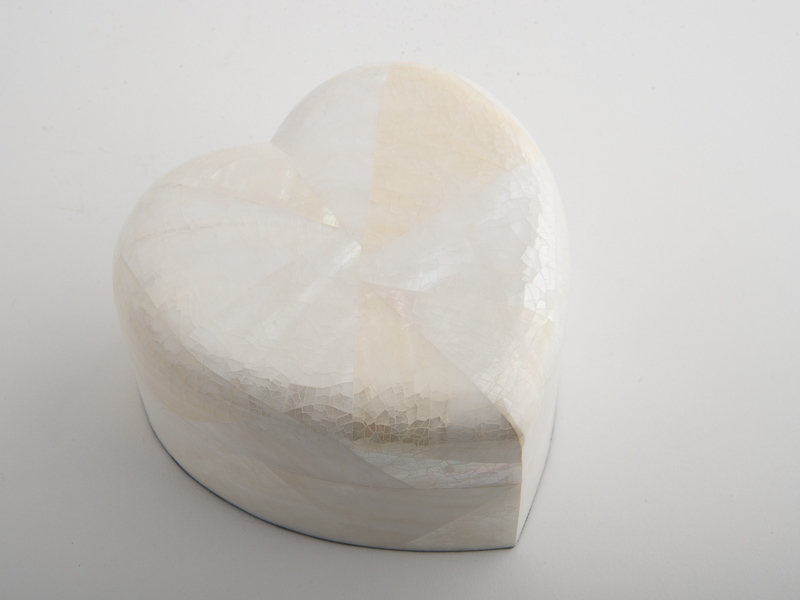 The cushion mosaic design is trimmed with bone and the interior fitting designed to store your personal jewellery. 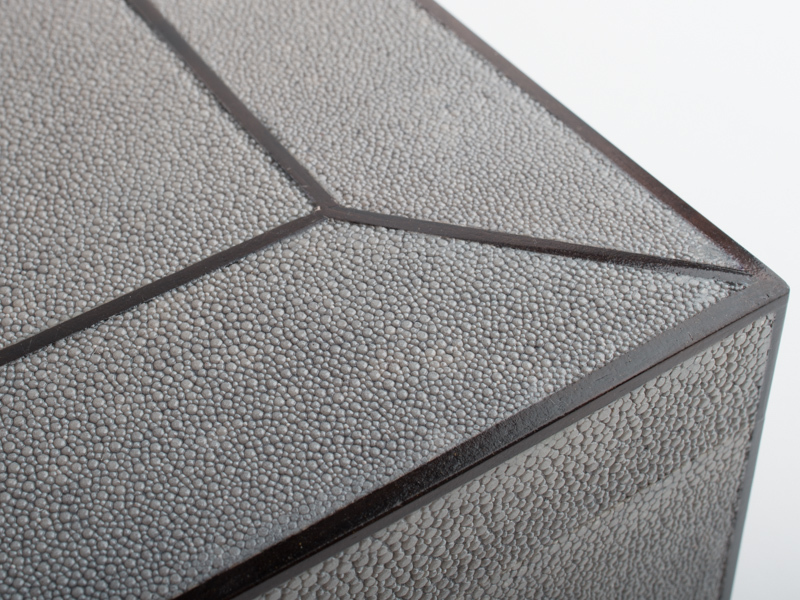 Shagreen, often called galuchat or stingray, is a richly textured strong material which has been used for centuries as a decorative surface. 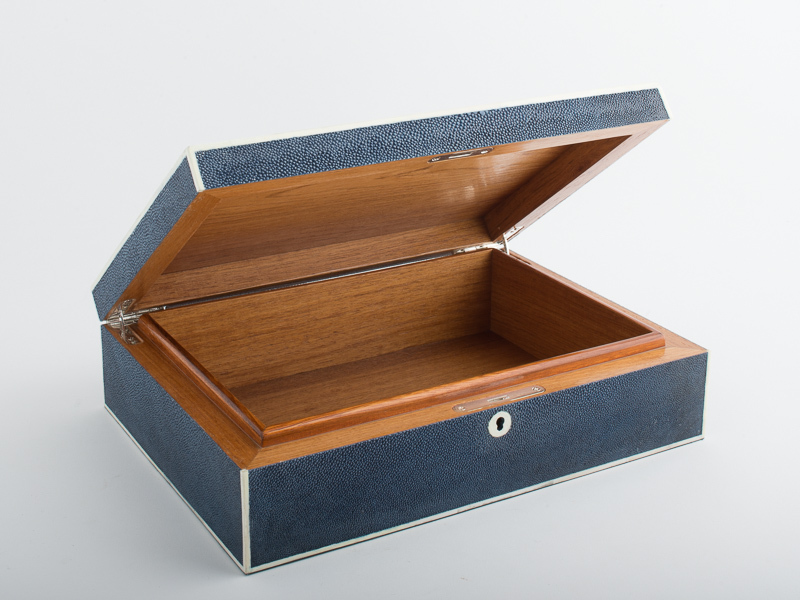 Zelda is the most elegant and stylish of shagreen jewellery boxes. 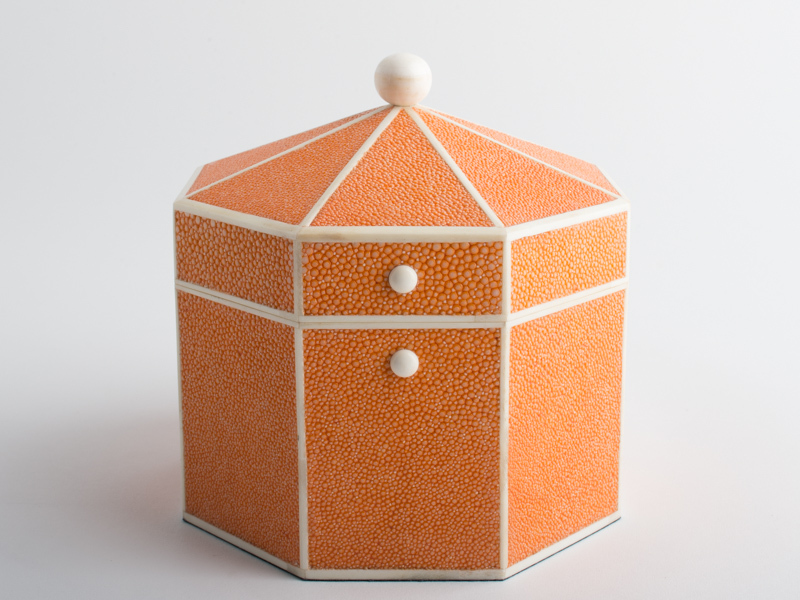 The cushion mosaic design is trimmed with bone and the interior fitting designed to store your personal jewellery.Available with jewellery compartment or polished wood interior. 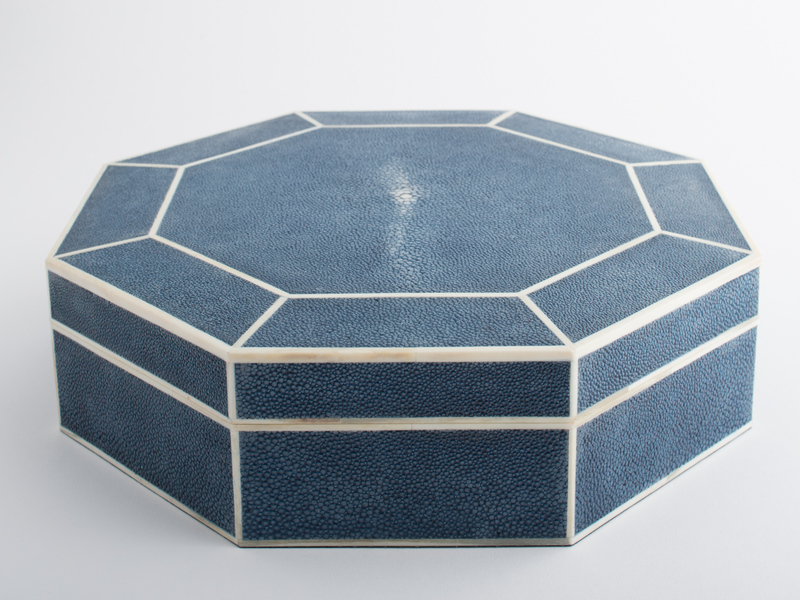 Shagreen does not require any special cleaning. 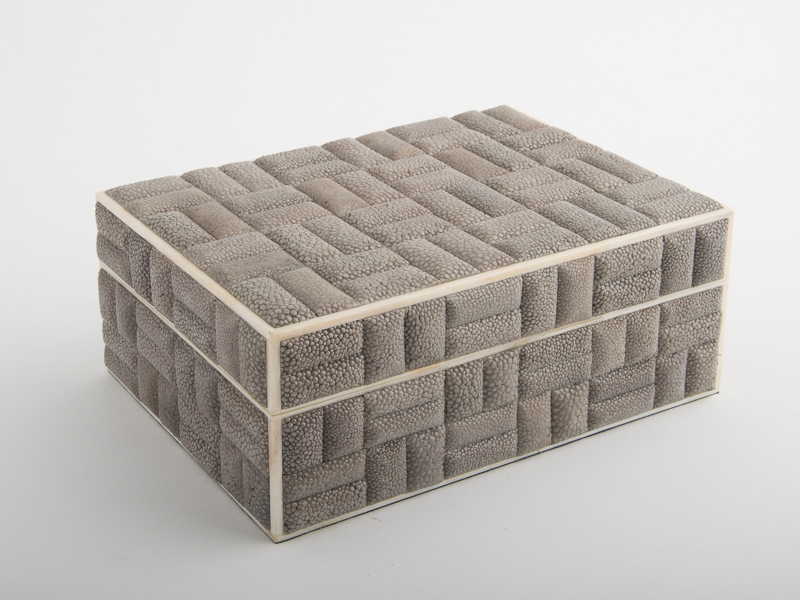 To maintain the natural radiance of our shagreen pieces, we recommend gentle dusting with a soft brush and dry cloth. Please avoid contact with anything wet or oily. Also avoid exposure to extreme temperatures.